Create a Member Account. It’s simple and FREE. Respond to student inquiries securely through our Directory. Find tutors by subject, location, rate, special skills and more. Browse search results by tutor location, rates, expertise, experience, availability and more. 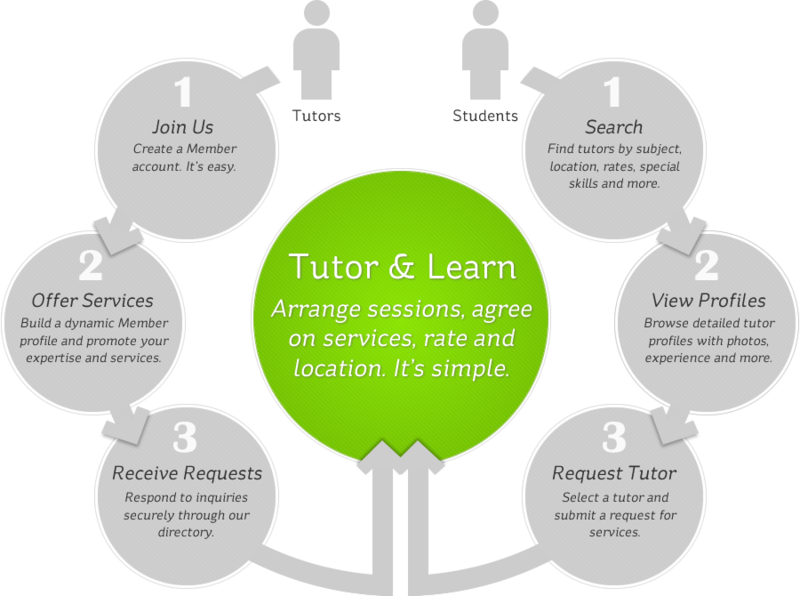 Select a tutor and submit a request for services.